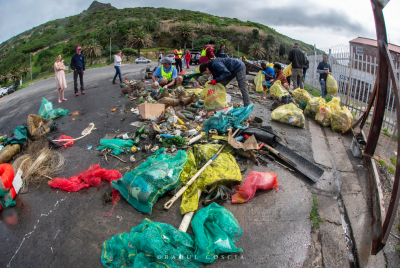 Animal Ocean teamed up with an army passionate ocean groups from around Cape Town for a beach clean-up on International Beach Clean-up day, to help get as much trash off our beaches and out of the ocean as possible. We set up a gazebo and rallied our friends, family and guests to come down and join the community to do a little good for our oceans ! There were SCUBA divers and Freedivers getting stuck into the murk and pulling out bottles, rope, fishing line, cans… even giant batteries, fishing reels and tires ! We were on the beach and I didn’t manage to take any images from the day, I was too busy picking up trash…. but I did do a few clips for Instagram, so I put them together on the Animal Ocean YOUTUBE channel, so you can see what happened in a super informal un-produced way. It’s easy to get caught up in our busy lives and get stuck behind our computer’s keyboard. If you want to see a difference in the world, be the difference. It’s as simple as that. Participating in a beach clean-up is a rewarding experience, and if you have never done one, I am sure you will be shocked by the amount of garbage you will find. Raising awareness about the plight of the fragile shore ecosystems is important. Many people thoughtlessly extinguish their cigarette butts in the sand, and leave them behind, probably thinking it’s just me, no biggie. But when many people adopt this mentality, that is when the beaches become, for lack of a better word, gross. I think it’s a great idea to photograph garbage as you clean-up. Take pictures of the amount of trash you find, or the weirdest item you find. Then share, share, share! Share across all your social media platforms! People by nature are very visual creatures, so actually showing instead of telling is a fantastic way to raise awareness to the issue of beach litter. Maybe, just maybe, someone will think twice before leaving behind a styrofoam cup, or not disposing of fishing line properly because of an image or experience you share. Beach clean-up’s are a ton of fun, and even though summer is almost over, many groups organise beach clean-up’s year round. Whenever you get the opportunity, I strongly urge you to spend a morning or afternoon doing a beach clean-up ! Whether you get a group of your friends together to go cleanup your favourite beach spot, or join one of the many great organisations that coordinates beach clean-up’s each month, you can make positive memories with friends old and new. If protecting the ocean and the environment is something you are passionate about, get outside of your comfort zone and join a group clean-up. It is a great way to meet other people who share your passions. I have met some of the nicest and friendliest people attending clean-up’s. People are always stoked to meet someone else who actively shares their passion for the environment! Save the Cape Fur Seals ! Well we are a Seal Snorkeling company and we love our Cape Fur Seals, so seeing them entangled in fishing line and plastic is heartbreaking !! Picking up trash on the beach means that its not available to entangle our ocean life, and Fur seals. Pick it up and keep our wildlife safe. 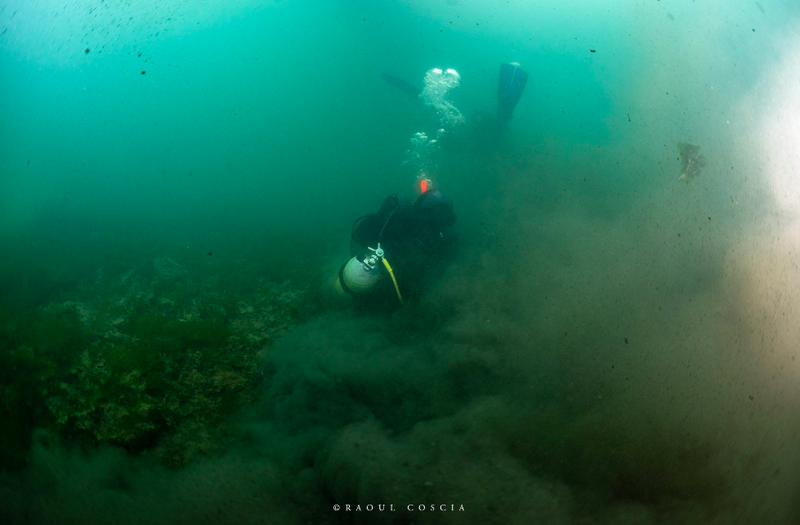 Raoul Coscia took some images of the underwater action and the serious haul from the Freedivers and SCUBA divers. Below are all the links to the groups that made this happen. Thanks so much for organising and we are so happy to have been a part of it !